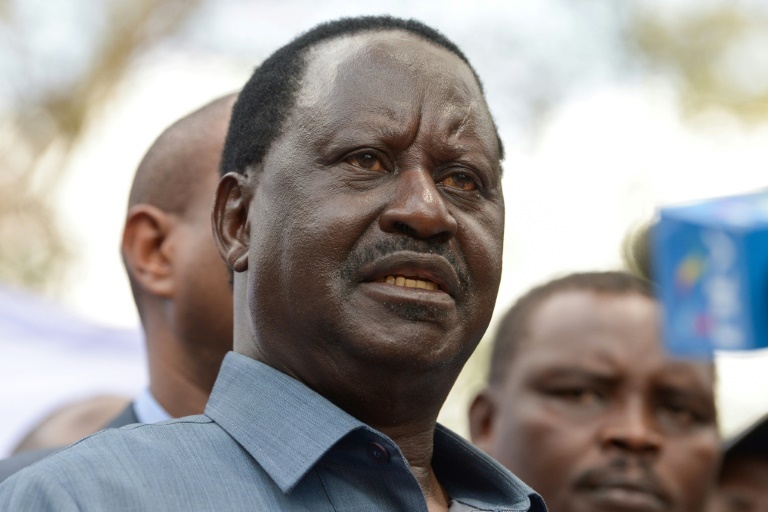 Supporters of Kenya's opposition leader Raila Odinga took to the streets Wednesday as poll officials mull their next move after his withdrawal from a presidential election plunged the country into uncharted waters. Opinions are split on what the veteran opposition leader's decision implies for what has already been a dramatic election saga, with President Uhuru Kenyatta insisting the October 26 vote must go ahead. Thousands of Odinga's supporters poured into the streets of his western strongholds of Kisumu and Homa Bay, carrying sticks and placards and chanting: "no reforms, no elections". Crowds also began gathering in Nairobi under the watchful eye of anti-riot police. Kenya's Supreme Court last month annulled Kenyatta's victory in an August 8 election due to widespread irregularities in the counting process and mismanagement by election officials, and called for a re-run within 60 days. However the process quickly hit a deadlock, with Odinga demanding deep reforms that the election commission (IEBC) said were impossible to deliver in the constitutionally mandated period. It was this failure to make the required changes to procedure that Odinga said pushed him to withdraw Tuesday from the race. "All indications are that the election scheduled for 26 October will be worse than the previous one," he said. Odinga is betting on a 2013 Supreme Court judgement which sought to clarify current laws by saying that if a candidate dies or withdraws from an election, the IEBC must begin presidential nominations from scratch. He hopes this will allow more time for reforms. Odinga's decision is likely to set the stage for more court battles, while deepening the political crisis which has also led to an economic slowdown. His National Super Alliance (NASA) coalition has called for a protest campaign. "By the look of things, they are gearing up for some long drawn-out street battles," the Daily Nation said in an editorial. While protest violence immediately after the August election left 37 people dead -- mostly at the hands of police -- according to a Kenyan rights group, demonstrations have since remained largely peaceful. However the country still has grim memories of the perils of post-election violence, with a disputed 2007 poll sparking politically-motivated tribal clashes that left some 1,100 dead. "The big question now is what next for Kenya? Will Mr Uhuru Kenyatta be declared the president and sworn in? And what would that mean for his legitimacy, given the fact the Supreme court invalidated his election?" the Daily Nation asked in an editorial. "One thing is for sure, the country is entering uncharted waters and walking the path to the unknown." In another plot twist, Kenya's High Court on Wednesday ruled that a third presidential candidate Ekuru Aukot of the Thirdway Alliance, who scored less than one percent of the vote in the annulled election, should be allowed on the ballot. However the Supreme Court has previously ruled that only the petitioner and respondent in the case challenging the election outcome should stand in a re-run, and this decision is likely to stand. 0 Response to "Kenya opposition protests as poll body mulls next step"